You’ve had a busy year! Forgotten to get your senior photos taken? No worries! 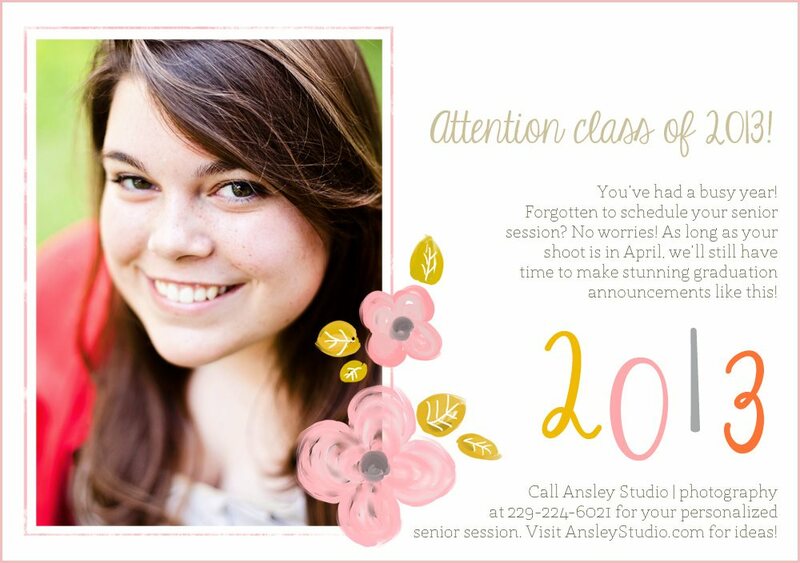 As long as your shoot is in April, we’ll still be able to create stunning graduation announcements like this! Call me at 229-224-6021 to make your appointment and visit AnsleyStudio.com for ideas!